From the Honors Program of the late 1970s to the Honors College of today, the Patterson family of Round Top has seen it all. And no matter during which era they attended, they have found what they were looking for. When Randall Patterson (‘79, Accounting) arrived in 1976, he was looking for two things: a college that would admit a 17-year-old high school junior, and a job. But making ends meet wasn’t Randall’s only challenge. Randall met his match in his first English course with Dr. Lorraine Stock. After earning a C+ and then a C- on his first two papers, he had to ask for help. At that time, the Honors Program was a small group of 30 to 40 students who took special Honors sections of core courses, lived in a tight community, and lounged together in a room underneath the library that might or might not have been officially off limits. 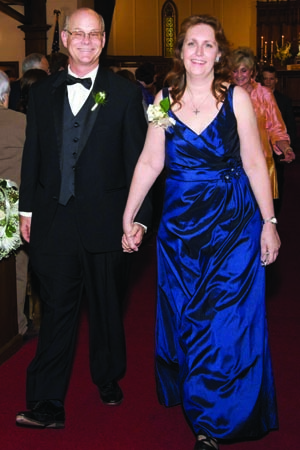 Among those first Honors students was Randall’s future wife, Linda (‘83, Music), who graduated from the program in 1983. 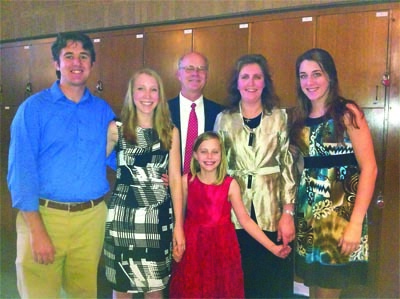 Their two daughters—Stephanie Moncrieff (‘09, Interdisciplinary Studies) and Audra (‘12, Biomedical Engineering)—have followed their parents by attending what is now a much bigger and more established Honors College. Like her father before her, Audra appreciates the attention that she has received from her professors. “The Honors College has allowed me to form mentor relationships with outstanding faculty members, and has provided great research opportunities that I may not have even known about on my own,” she said. Stephanie, an education major, turned an undergraduate internship at the Rice School into a full-time teaching position there after her graduation. “I liked that the Honors College provided a challenging addition to the curriculum, as well as a more intimate community inside a large university,” Moncrieff said. “I am very thankful to the Honors College for providing that welcoming community.” Thanks to families like the Pattersons, that community now extends across generations.